The large capacity of this one makes it great for group trips and gives you heaps of extra space for bringing home the fish. Solid steel hinges, steel latches. Note: Add additional 45-50mm each end of external width for handles. 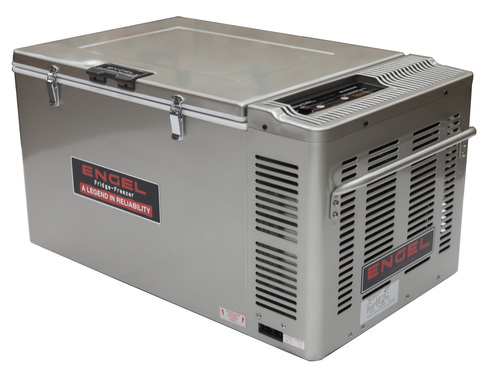 Price: $1849.00 RRP Engel fridge only. $1695 with genuine Engel transit bag valued at $275 included free of charge. Phone or Email for your Special Price.